In retrospect, it may have been a poor choice to locate Mobius Science Center in a Cowles Co. building smack-dab in the middle of an in-demand retail sector. "Nationally, a successful science center and a retail environment usually don’t mix well," says Phil Lindsey, director of Mobius since April of last year. "You will find there are malls and such that do have museums in them. But they are rarely long term residents." In fact, none of the previous four science centers he worked at had been paying rent in a retail environment. And for the Mobius business model, it looked impossible. It had cost Mobius about $12 million to retrofit and open in the space in 2012, and from the very start, Mobius struggled to meet projections. (Anne Cowles, wife of Spokesman publisher Stacey Cowles, had been a member of the Mobius board when the Cowles site was selected, but had recused herself from discussions over the site selection) According to the Spokesman-Review, Mobius and the nearby Mobius Kids had paid $413,232 in lease payments in 2012, a massive chunk of the non-profit's budget. Lindsey says the Cowles had been giving Mobius some relief on their lease payments when he arrived, but he knew the science center needed to relocate to be sustainable. That became doubly true when the Cowles Co. informed Mobius it needed to be out by the end of March to make way for another retailer. "We are getting the space back at the end of March and we have plans for the building," Bryn West, general manager for River Park Square and Cowles Co. landlord for Mobius. Contractually, however, she can't elaborate on what those plans are. "I hate to have all this this information at my fingertips, but [not be able] to breath a word of it." West says the Cowles Co. gave Mobius a heads up in early 2014 to give them plenty of time to figure out an alternative plan. 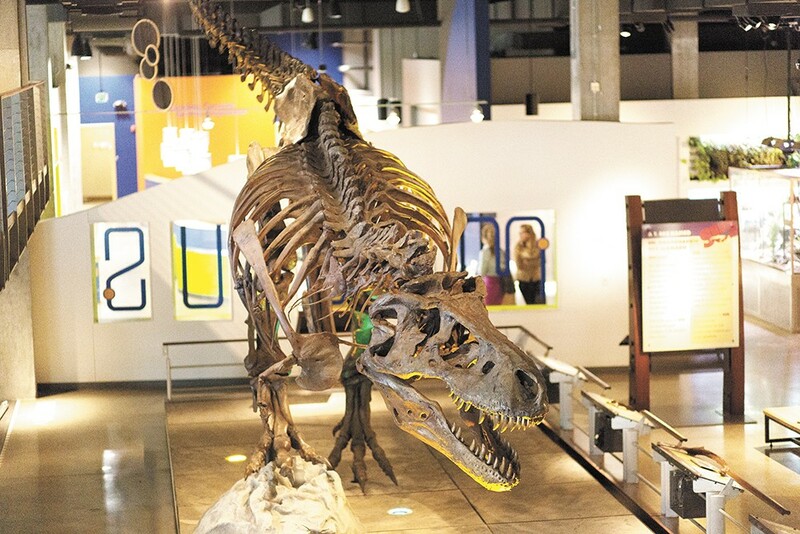 The Cowles, after all, have long been advocates for a science center in Spokane. "Its very close to our hearts," West says. "I want to make sure they're taken care of." The good news: Last year, Avista stepped forward with an unbeatable deal. For the rock-bottom lease price of a dollar a year, Avista would let Mobius use its old 1911 brick building, right next to Riverfront Park and the Avista substation, as a new location. "This is part of Avista’s active partnership with the community," Avista spokeswoman Jessie Wuerst says. For everyone involved, it looks like an eventual win-win. Mobius will get a larger space and have the ability to easily balance their budget without a big rent payment. "I think that they have found a financial model that's going to work for them," West says. "To bring in bigger and better exhibits and draw traffic." The bad news: Renovating an ancient building to make way for Mobius, and figuring out a mass of specifics, takes time. Lindsey hopes the building will be ready by the end of the year, but that would be long after they were kicked out. In other words, until the new place is ready, Mobius needed to essentially find a friend's couch to crash on. That friend turned out to be the Spokane Public Library. "We signed this agreement on Tuesday of just this week," says Andrew Chanse, Spokane Public Library district director. The library plans to relocate its children's section in its downtown location and put Mobius on the third floor. That gives the science center a little less than half the space it had previously, but through layout magic, Mobius will be able to fit in about two-thirds of their current exhibits in the space. The library — funded by levy dollars and the City of Spokane — won't charge Mobius for using the space. "We’re looking at it as a science exhibit, like we’ve developed in the past with Discover Earth and Discover Tech. We’re all about education and learning." It's all part of an experiment, Chanse says, to figure out if that space could continually to be used interactively after Mobius leaves. And at Mobius, despite all the hoops it still has to jump through and deals it has to work out, there's a sense of relief. Not having massive lease checks constantly hanging over their head will do that. "We’re really excited by it," Lindsey says. "Nothing but huge potential for growth and the ability to deliver on our mission,"